Discover the difference a family-owned business makes. Discover the impurities that can be hiding within your water. Love Well & Pump Supply, LLC has been supplying well pump and water testing services to Monroe, NC since 1967. We specialize in well inspections, abandoned wells, waterline piping, installations of pumps and tanks, camera inspections, trench digging, freshwater services and more. We work closely with irrigations in residential, farms, agricultural and light commercial capacities. 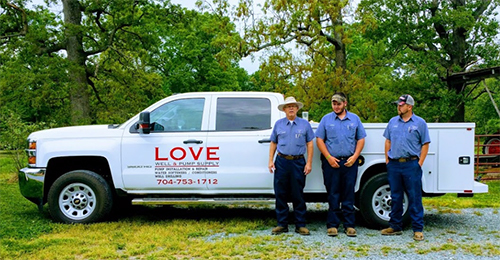 For well drilling, installation and water well repair in Monroe, NC, there’s no better name in the business than Love Well & Pump Supply, LLC. For decades, we’ve been the go-to provider of well services, from cradle to grave. We’ll drill your new well, make sure your pump is appropriately installed and be your service partner for as long as the well is functional. We’re even on your side for things like water testing, to make sure the potable water being delivered to you is of the highest quality. Our dedication to our customers encompasses all facets of well service, making us the one and only provider you’ll ever need to call when your well is in question. Our water well services in Monroe, NC extend to customers and applications of all types. We specialize in residential wells, however we also have experience in light commercial and agricultural capacities as well. Our service capabilities even extend to water storage tanks and their pressure control systems, where we can offer expert repair and maintenance services. We invite you to contact us the next time you need well or pump services, to see why our customers have called us with confidence for more than 50 years. We’ve offered dependable well services since 1967 and are backed by decades of experience. Our business is affiliated with the Better Business Bureau (BBB) and holds a superior rating. We’re members of the National Ground Water Association. Our business is family-owned and –operated, passed through multiple generations! We’re happy to offer free estimates on all of our services, as well as free water testing. No matter your well and pump demands or your concerns about your water, we’re here to help. 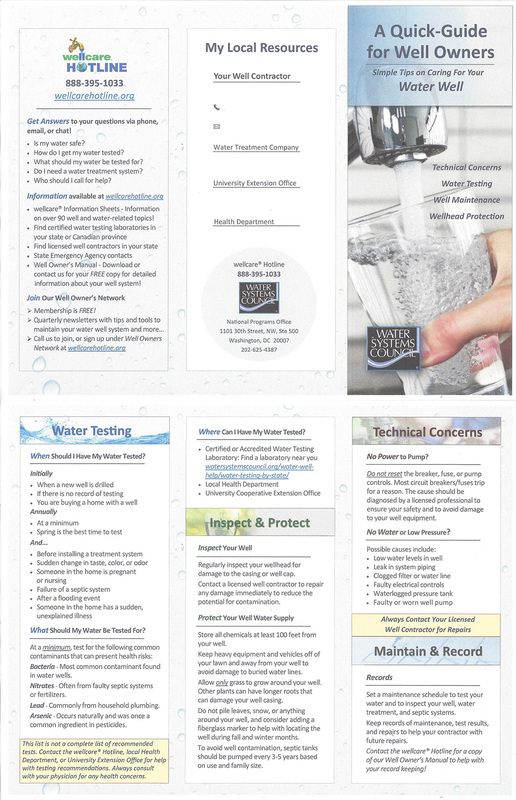 Contact us today for a free estimate on any of our services or to have your water tested.